Mark Lussier installs lighting in 2013 on a display of Orbital Space Launch Vehicles at Orbital’s booth at the 29th National Space Symposium. Neon-clad dancers will greet rocket scientists, space experts and military brass Monday night in the opening ceremony as the Space Symposium kicks off its 35th year in Colorado Springs. But the bulk of attendees during the symposium’s four-day run at The Broadmoor are looking forward to answers Tuesday, when leaders from acting Defense Department Secretary Patrick Shanahan to four-star generals will talk about the military’s future in orbit. “Any answers we can get would be much appreciated,” Colorado Springs Republican U.S. Rep. Doug Lamborn said Friday. There are basic questions. Will President Donald Trump’s proposed Space Force launch? Where will its headquarters be? How will the Space Force change what the military is doing above the planet? To answer some questions the Pentagon is offering up Shanahan, Air Force Secretary Heather Wilson, Air Force chief Gen. David Goldfein and Space Command’s Gen. Jay Raymond. Colorado U.S. Sens. Michael Bennet, a Democrat, and Cory Gardner, a Republican, are lobbying to keep the military’s space enterprise based here. “Colorado is the epicenter of national security space and is the exact right place for critical discussions to take place on U.S. space policy,” Bennet spokeswoman Shannon Beckham said in an email. Gardner is equally enthusiastic about keeping space operations in the shadow of Pikes Peak. “Colorado has a long history of supporting our nation’s civilian and military space operations, and our state is uniquely positioned to house the reestablished U.S. Space Command headquarters,” Gardner said in an email. The Air Force has kept its top space operations in Colorado since the 1980s. Peterson Air Force Base was home to U.S. Space Command until it was shuttered in a 2002 reorganization and has remained home to Air Force Space Command, the military’s top space headquarters now. The state’s prospects were buoyed last month when President Donald Trump announced that the new version of U.S. Space Command would get its start at Peterson, with Raymond, who now heads Air Force Space Command, as the boss. The new command puts the space efforts of all military branches under a single boss, and could pave the way for a separate service branch for space, which still faces an uncertain future in Congress. 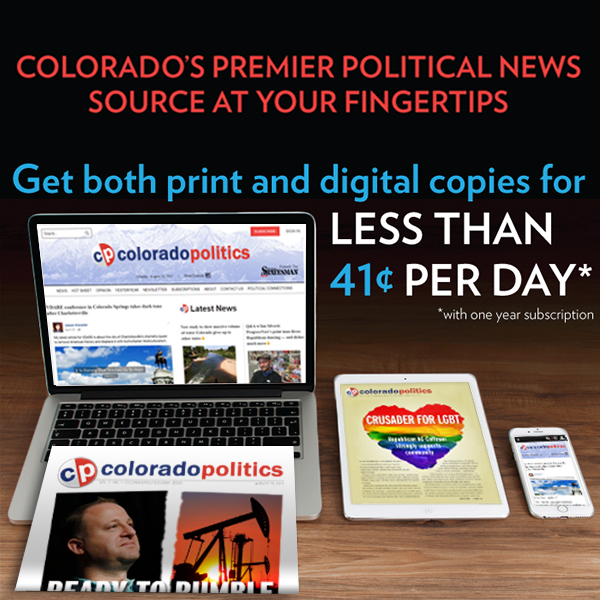 Lamborn said the military has spent billions of dollars to create space-supporting infrastructure in Colorado Springs. “If we want U.S. Space Command to be built quickly cheaply, it must be built here,” said Lamborn, who sits in the top GOP spot on the readiness panel of the House Armed Services Committee. But behind the battles over real estate, there are real questions about military missions in space, which has become a likely first battleground of any future war. Those concerns were highlighted last month with a successful anti-satellite test by India, which left a cloud of debris in orbit that could impact U.S. missions. America’s rivals “are doing everything they can to be more powerful in space,” Lamborn said. Retired Air Force Brig. Gen. Marty France, who headed the Air Force Academy’s satellite program and served as a top Pentagon adviser on space issues, said the India test demonstrates the hotly contested theater that space has become for military leaders. Colorado Springs has been the place where military brass have fretted war in space for years. It has been a hot topic of discussion at the symposium since 2007, when space leaders gathered here while pondering a Chinese anti-satellite test that also resulted in a massive orbiting cloud of debris. In recent years, Air Force Space Command has sounded more alarm bells as Russia has stepped up its orbital efforts. The ultrasecret National Space Defense Center established in 2015 at Schriever Air Force Base brings together military and intelligence agency experts to plan for and deal with enemy moves in space. That change came with a realization that America can no longer fight wars without its fleet of satellites for communications, navigation and intelligence. Yet, a top Air Force Space Command general this year told a Colorado Springs crowd that the Air Force’s treatment of satellites to date is like leaving a Ferrari in a crowded parking lot with the keys in the ignition. The Trump administration says having a Space Force will increase the military’s capabilities in orbit by giving satellites and other systems a tighter focus. While the president has ordered the Pentagon to clear the path for creation of Space Force, the final decision rests with Congress. Lamborn says there’s a growing consensus among lawmakers that military space efforts need a tighter focus and more money. “Our space warfighters need to be ready,” he said. But, with Democrats in control of the House and the GOP running the Senate, some lawmakers say getting a Pentagon budget passed this year looks like an insurmountable challenge even without arguments over a new service branch. And some leading Democrats oppose the new service. France said it’s unclear whether creating a military branch for space will make American satellites safer. “Does it help us answer those questions?” France asked.